This is on the back of its business and tech environment, and talent pool. Singapore emerged as the premier tech city amongst its Asia-Pacific (APAC) peers thanks to its business environment, talent pool and tech environment, according to the Savills Tech Cities index. 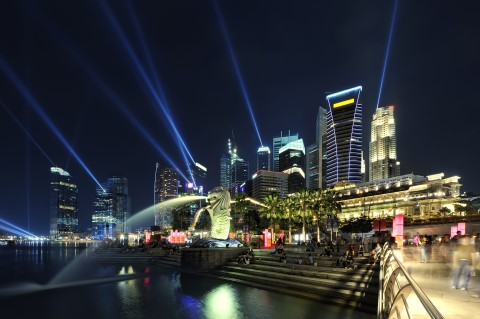 The index, which measured 30 cities across the globe on 100 individual metrics, placed Singapore in sixth place after Amsterdam and Boston. New York clinched the top spot in the 2019 index, overtaking San Francisco on the back of its reputation as a global centre of commerce and deep talent pool. “Venture capital (VC) investment volumes have topped those of San Francisco for the last three years,” Savills added in its report. London came in at third after performing well on the index’s ‘buzz and wellness’ and mobility submetrics, on top of a strong capital market. VC investment volumes across the 30 tech cities were also observed to have risen from $50.16b (US$37b) to $281.7b (US$207.8b) in 2018. Chinese cities saw their share rise from 11% to 36% over the same period, the report noted. Chinese cities also emerged as leaders in shared mobility services, the report added, with Beijing, Shanghai, Hangzhou and Shenzhen ranking amongst the top ten cities in this aspect. The four cities, as well as Hong Kong, Chengdu and Singapore, were also included amongst the top ten cities with the best metro system. The report pointed out how many of the dockless bikeshare schemes in cities across the world originated in China, with Hangzhou home to more shared bikes than in any other city globally. Private equity (PE) and VC investments in Singapore reportedly contributed 56% of the overall PE deals completed in Southeast Asia for Q2 2018 which raised $1.8b across 36 deals, according to Ernst & Young's (EY) private equity briefing report. A separate report by Duff & Phelps found that PE and VC investments in Singapore companies achieved record deal volumes with 154 investments in 2018 compared to the 125 seen in 2017.
Notable PE and VC investments in 2018 in Singapore included the $3.43b (US$2.5b) investment in Grab Holdings by Toyota Motor Corp and other consortium investors, as well as the privatisation of Tat Hong Holdings by Standard Chartered Private Equity.